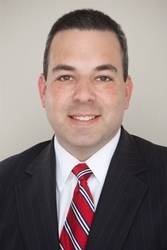 Jonathan H. Katz is a partner in the Princeton, N.J. office of Hill Wallack LLP and a member of the firm’s Community Associations practice group. Mr. Katz concentrates his practice in the areas of community association law and general litigation, representing condominium and homeowners associations throughout New Jersey and eastern Pennsylvania. Mr. Katz is admitted to practice in New Jersey (2000) and Pennsylvania (2000) and before the U.S. Court of Appeals for the Third Circuit (2004) and the U.S. District Court for the District of New Jersey (2000) and the Eastern District of Pennsylvania (2008). Prior to entering private practice, Mr. Katz served as the law clerk to the Honorable Philip S. Carchman, Superior Court of New Jersey, Appellate Division, and the Honorable Neil H. Shuster, Superior Court of New Jersey, Civil/General Equity, Mercer County. He earned his Juris Doctor from Rutgers School of Law - Camden in 2000 and his BA from Rutgers College in 1997. In addition to these areas, Mr. Katz has significant experience in handling real estate and general litigation as well as transition negotiation and litigation. Selected for inclusion in New Jersey Super Lawyers - Rising Stars Edition 2011 - 2015. The Super Lawyers list is issued by Thomson Reuters. A description of the selection methodology can be found here. No aspect of this advertisement has been approved by the Supreme Court of New Jersey. Mr. Katz served as the Chair of CAI-Pa/Del Val's Communications Committee, which is responsible for Community Assets magazine, and he served as Chair of CAI-NJ's Editorial Committee, which publishes Community Trends. He was among the CAI-NJ members honored with the 2013 Chapter Achievement Award as a result of the Editorial Committee's January 2013 "Restore the Shore" issue. He currently serves as the Chair of CAI/Pa/Del Val's New Jersey Regional Council. Mr. Katz is also the editor for Hill Wallack LLP’s Condominium and HOA Law blog www.condolawnj.com. He has significant practical experience with community associations, having served on his homeowners’ association Board of Directors for eight years.